Joseph Phelps Napa Sauvignon Blanc. "A barrel-fermented sauvignon grown at Phelps' Spring Valley Vineyard, this wine shows its oak in scents of vanilla and the solidity of the structure. Firm, juicy lime flavors last past the oak, balanced toward sweetness." 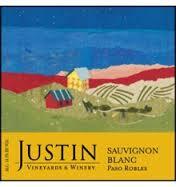 This 100% Sauvignon Blanc comes entirely from Joseph Phelps' estate vineyard in Spring Valley, outside St. Helena. It was barrel-fermented with native yeasts and aged for seven months in a combination of 28% new and 72% used French oak. The vintage was a cooler than average growing season, resulting in fruit with terrific acid structure. In a style reminiscent of Bordeaux whites, this medium-bodied Sauvignon Blanc leads with aromas of lemony citrus, hay, and fresh-buttered toast. These aromas and flavors are echoed on the palate with additional suggestions of Marcona almond, tangerine, vanilla, and wet stones. A fine beam of acidity runs through the creamy midpalate, keeping the impression vibrant. Textured and complex, this wine begs for a seafood-inspired creamy dish.